If you are into and up-to-date on the latest technology at all you’ll know that it seems that all the big-name companies have come out with their version of what used to be a far off and futuristic concept, Automated Smart home systems. 15 years ago, you used to turn on your TV and watch a movie about a house that could do everything from opening your blinds to turning on your lights and setting your coffee maker to turn on at a certain time. Everybody used to watch that and think that it seemed relatively unrealistic and that it would probably never happen! As it turns out that can happen and it is happening today in thousands of homes all over the globe! Amazon produced one of its very own automated smart home systems a while back called the Amazon Echo, better known around the world as Alexa. Alexa is a fairly advanced smart home system which allows you to access countless functions using only your voice including instant access to your music storage, which you could then stream in any room in your house. This is a really neat feature for people who like to listen to music in different rooms of their home. Amazon’s music storage was a great resource for many music enthusiasts in the world, it even offered you the ability to store and stream up to 200 or so songs without having to pay for the service. The problem is that other similar services like Google Play Music and Apple iTunes allow you to do that with up to 50,000 songs, and they come at a lesser cost than the Amazon version of the same product. Thankfully there are options available to people who were greatly affected when amazon shut down its music storage service. Google play music is probably the best possible alternative to the Amazon music storage service. This program will allow you to store basically an unlimited supply music – who has time to listen to 50,000 songs in their lifetime? – for a very fair price, and it’s free to try for 30 days! With access to 40 million songs and on demand streaming, you can’t really go wrong with deciding to check out this service. While it is only compatible with Android and IOS platforms, this is a really great alternative to the Amazon music storage and it is literally risk free too! Google Play Music is available in 63 countries around the world and gives you access to all your music , all the time. If you are looking for a similar set up to the one that Amazon created with the Amazon Echo, you can check out the Google Home smart home system. This system is designed to make your life easier by giving you access to everyday things like music, weather and google answers using only your voice. They are sold at a really fair price considering all that their technology is capable of, and they have two options available on the market to suit the needs, and budgets of their customers. The Original Google Home is a little bit more expensive, but it comes with a few more features that make the extra cost worth it. It has great bassy sound and a nice sleek design as well as touch controls on the top for playback and volume controls. It also comes with a replaceable base and its microphone is super sensitive. The Google Home Mini comes with a slightly less powerful speaker and lacks touch controls. However, it is small and comes in a variety of fun colours. 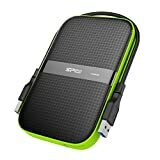 Overall for the low cost, it is a worthwhile investment if you are just looking for something to help you access your music easily while you are on the go or moving around the house. 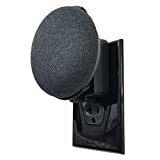 While you cannot directly purchase a Google Home system through amazon due to a quarrel between the two companies currently you can still purchase accessories for them such as chargers, bases..etc. Polk Audio also makes an almost identical product for a much cheaper price than the Amazon Echo. 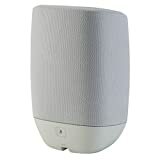 It is compatible with Google Assistant so you will be able to access your Google Play Music storage from anywhere using this speaker, and at a much lower cost. Although it took a bit of a hit on sound quality when compared to Google Home and Amazon Echo, it is a perfectly functional smart speaker and still performs the same basic functions as the competitors. Plex is a music storage service that will allow you to store your music on your home computer and access it across all of your devices. While it is not exactly the same set up, it does make a great amazon music storage alternative. If you sign up for plex pass, which has a one time very low fee for access and usage, you will be given the ability to stream and store thousands of songs, movies, videos and even pictures to your devices. 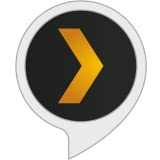 You can connect Plex to Amazon Echo which means if you were already using ‘Alexa’ to access your music storage through Amazon you’ll be able to switch your playlists over to Plex with very little effort. As you can see, there are plenty of options on the market to replace the Amazon music storage service, while it can be a learning curve trying to learn how to use these products and services, in the end you will have access to all of your favorite music again, even when you are offline. And, if you’re just not feeling the smart speaker or Plex vibe, maybe it is time to get back to the basics and look into some good old fashioned MP3 players?